As Sally Calypso gives a traffic report, a car with Ma and Pa are under attack and call the cops. Ma is upset because Pa lied that they had three on board, but as they are on hold, their car is apparently destroyed. On the TARDIS, the Doctor stretches the definition of “one trip” to include one in the future. 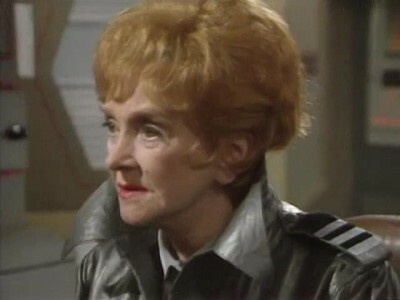 He asks about a different planet and Martha suggests his planet (Gallifrey). 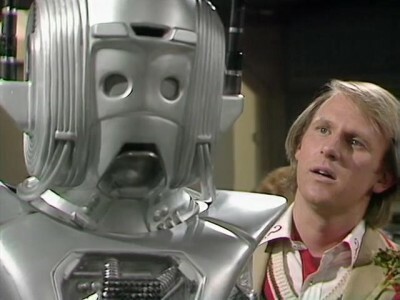 He doesn’t really want to but upon asking him about his home planet, he give a description of the planet (matching the one given by his granddaughter Susan in the first Doctor’s adventure, “The Sensorites“). 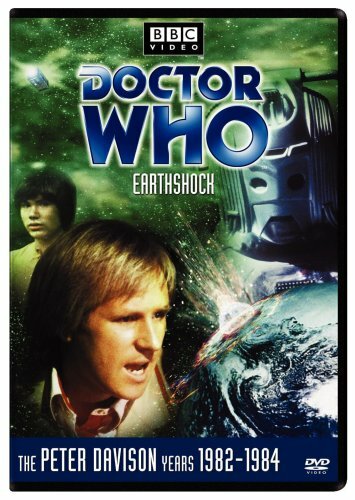 Martha really wants to go, but the Doctor says that is no fun for him, and takes her to the year 5,000,000,053 and to New Earth, specifically New New York (where he’d been twice before with Rose). Novice Hame, still in the service of the Face of Boe, is told by Boe that the Doctor has arrived. He asks her to find him before its too late, and taking a gun, she takes off. 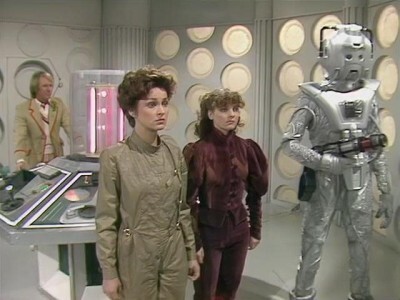 Meanwhile, the Doctor and Martha get out of the rain and the Doctor activates a monitor, where they see the surface of New Earth, where he’d come before. He reasons they are in the under city and states that this is where all the fun is. Martha asks if he took Rose here before and he confirms he did. 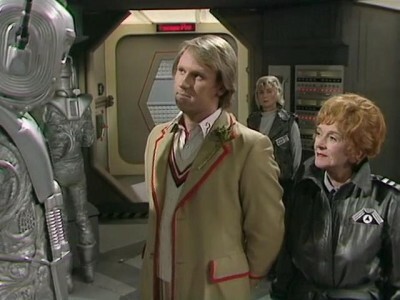 She’s a bit offended that he’s taking her to the same planets he took Rose, which the Doctor sees nothing wrong with. People in booths start opening shop, trying to sell emotions to the Doctor and Martha. A young depressed-looking woman walks up and decides to buy “forget.” She tells of her mother and father going to the motorway and not coming back. 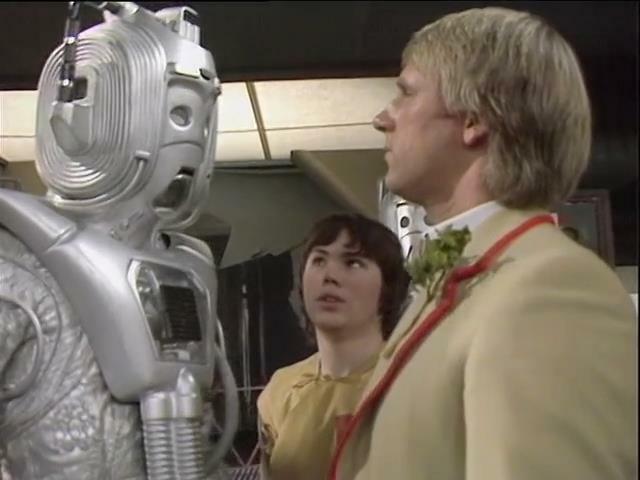 The Doctor cannot persuade the young woman who attached the “forget” patch to her neck and forgets about her parents going to the motorway. Before he can do more, a young couple kidnap Martha and carry her away, apologizing all the time. They put her to sleep and drive off in their hover van with a very angry Doctor unable to do anything. The couple, in car 465-Diamond-6, now have three people on board and so request permission to hit the fast lane, which they are given. 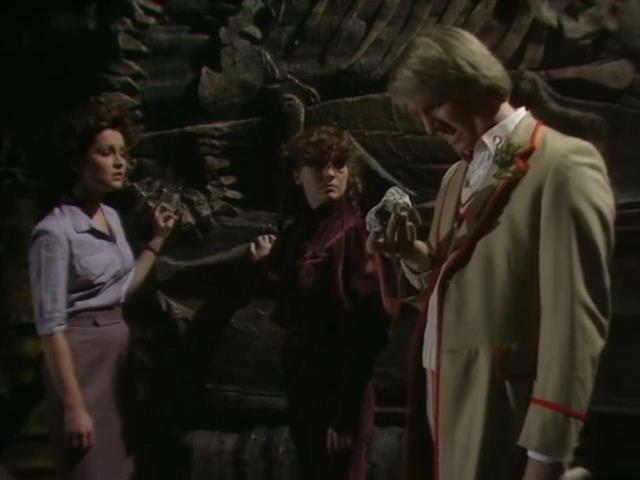 The Doctor talks with the mood merchants, who state that at one time, the streets used to be full of people, but no longer. In the end, everyone goes to the motorway. The Doctor gets directions on how to get to the motorway, but before he leaves, he warns them to pack up and close shop because when he returns with a safe Martha, he will close them down. In 465-Diamond-6, Martha comes to and takes off the sleep patch. The couple talks of the great life that awaits them at their destination. The girl, Cheen, apologizes again and states that they needed Martha to get to the fast lane. She promises she and her companion Milo will release her when they reach their destination. As proof, she shows the honesty patch she’s wearing. Martha asks about the fog outside, which Cheen says is exhaust fumes. Milo states they are going to Brooklyn where the air is fresh and clean. Cheen is pregnant but Martha isn’t impressed. The trip is only 10 miles, but it will take 6-years to reach there even with the fast lane access due to the massive amounts of traffic. 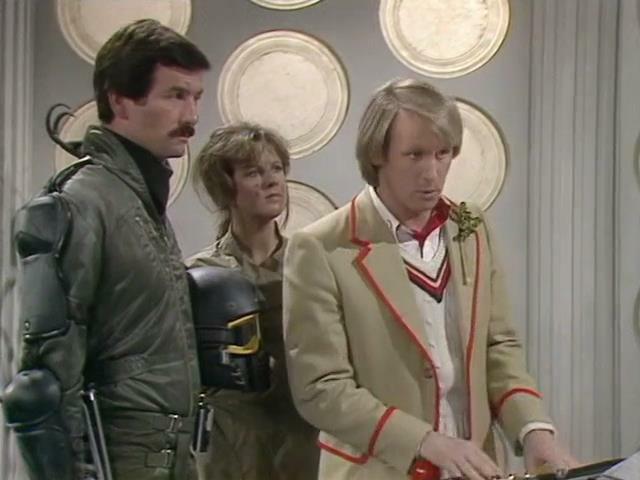 The Doctor exits to where the motorway is and sees tons of hovering vans not moving. A Feline (cat humaniod) encourages the coughing Doctor to come into his vehicle, which he does. Getting some air from the Feline’s human wife Valerie, the Feline, Thomas, asks about the Doctor. He states he’s looking for his companion and is stunned that they’ve been in traffic for 12-years, only covering 5-miles. With Cheen and Milo descending to the fast lane, Cheen explains how the car is able to produce its own fuel and how all waste is recycled for food, explaining how all these vans can be out here for so many years. Meanwhile, the Doctor enlists the help of “the Sisters” (an elderly lesbian couple) through Thomas, one of whom has the hobby of car spotting and keeps detailed records of all cars entering and exiting the motorway. She knows the car the Doctor mentions but Thomas doesn’t want to go to the fast lane due to the rumors of what happens down there. Valerie states they aren’t going to risk the children (kittens). 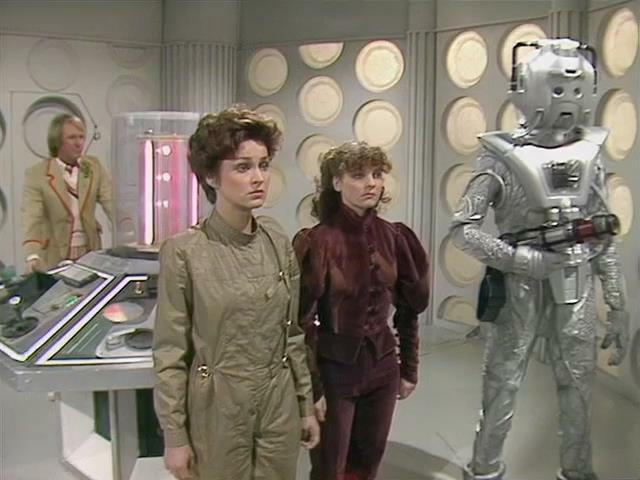 The Doctor asks the sisters when they came to the motorway 23-years ago. 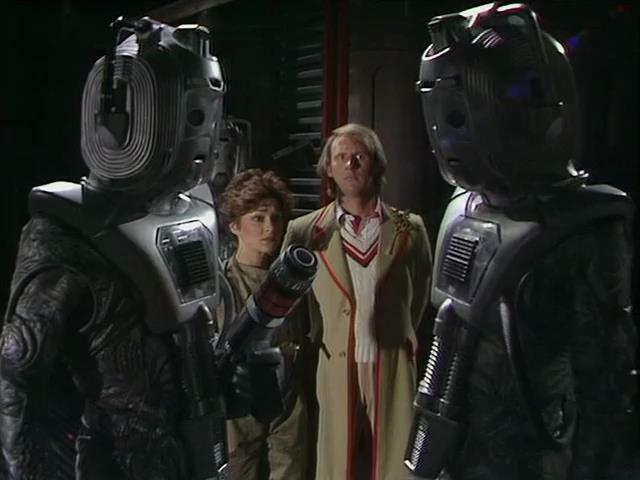 The Doctor asks if they have ever seen a police car or other official vehicle, but they haven’t and the idea bothers them and the Brannigan’s. Thomas reasons that the city above them has to be there and they can’t be forgotten. And as they stay in traffic, Sally Calypso comes on the monitor and the hymn “Old Rugged Cross” plays, with everyone singing and getting emotional. 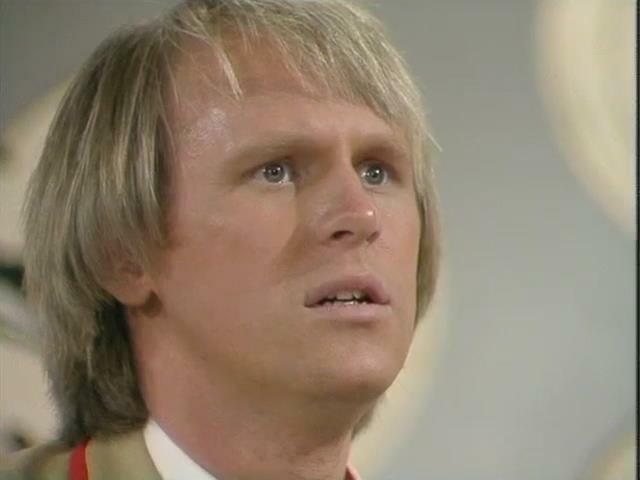 Cheen and Milo make it down to the fast lane and the Doctor decides to make it down. He opens a floor panel, giving his coat to them, he drops to the car below. Entering that car, he calls himself “Motorway Foot Patrol” and gets a complain about an exit being closed for three years. Repeating the process, he descends down. 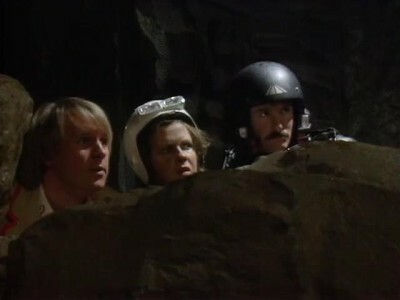 Meanwhile, on the fast lane, the trio hear noises and that can’t be explained. Milo feels there is a logical explanation and not the superstitious one Cheen tells. Another car calls them, warning them of the dangers on the fast lane. Apparently, all the exits to the surface from the fast lane are always closed and that they need to go up. Milo is reluctant to listen to her and as the woman screams and roars are heard, Martha tells Milo to just go. Meanwhile, the Doctor reaches the last layer before the fast lane. The man in a nice suit won’t go to the fast lane because of the rule of needing three people. 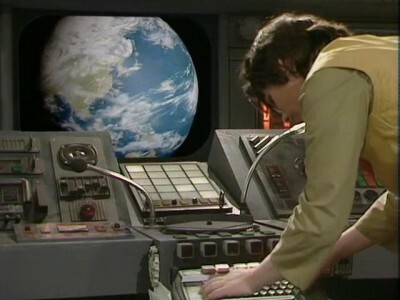 The Doctor opens his hatch and through the fog is able to see what is causing the strange noises — a giant crab-like species known as the Macra. Apparently they’d been an intelligent species once, but had de-evolved. Meanwhile, the car with Martha, Milo, and Cheen is under attack and Martha reasons that if they stop the car the giant crabs won’t be able to find them. The only problem is that they won’t have much air if the car is shut down. But Milo shuts off the vehicle and the are no longer under attack. Back in the “suit” car, Novice Hame arrives and after some small talk, teleports the Doctor to where the Face of Boe is. After learning of the catastrophe that happened on the surface (a massive virus that killed everyone save those sealed in the city below) and how Boe was the only thing keeping the city below functioning, the Doctor assists to release the people below now that the virus has also died. He opens up the exits and through the communication system, orders everyone to exit. Milo and Cheen as well as the rest of the motorist see the sky for the first time in years and everyone flies up to exit, Milo having to elude the Macra one final time to get out of their reach. The container holding the Face of Boe breaks and Boe is dying. 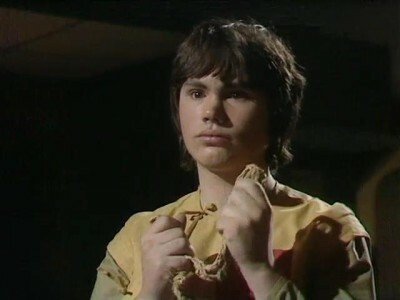 After Milo and Cheen drop Martha off to be with the Doctor, Martha comes up in time to hear Boe’s dying words to the Doctor — “Know this, Time Lord, you are not alone.” As Martha and return to the TARDIS, Martha demands an explanation and the Doctor finally tells her he’s the last of the Time Lords and the Time War in which his people sacrificed everything to defeat the Daleks. Thoughts: While the episode was entertaining, afterwards I thought, “how stupid are these people?” Seriously, to willingly be in a traffic jam for decades is absolutely insane. 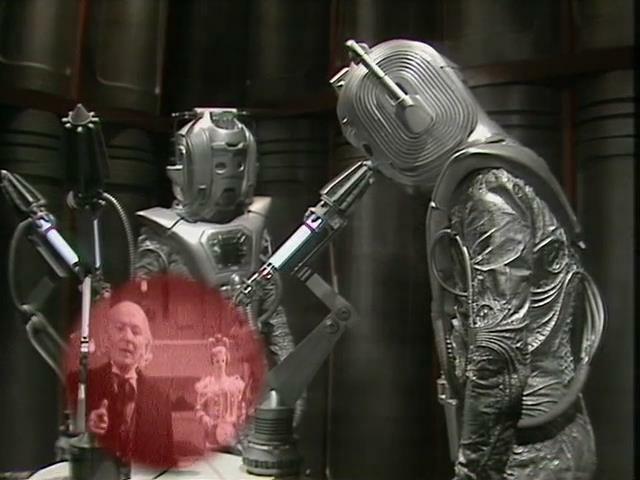 Still, it was the words of the Face of Boe that most Doctor Who fans were most interested in hearing. There are lots of theories about this, and lots of speculation about what exactly it could mean. 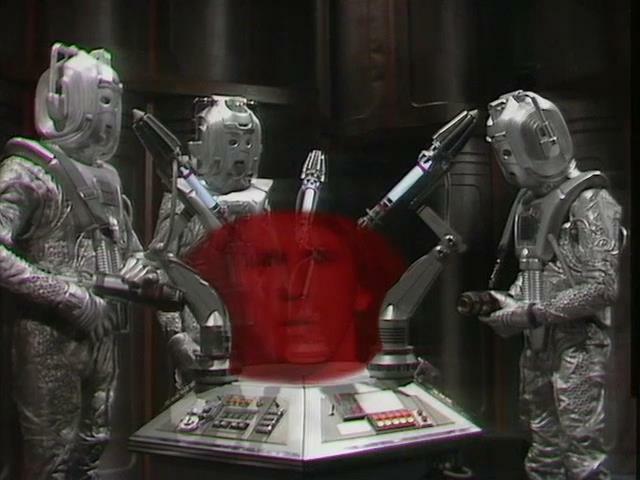 This entry was posted in Uncategorized and tagged Doctor Who on April 16, 2007 by AstroNerdBoy.